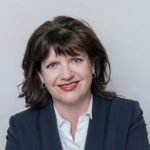 Alison Blake is the founder and director of Strategic Support, a consultancy for the disability and community sector in WA. Alison Blake, Tuesday, 12th December 2017 - Western Australia has abandoned plans for a state run NDIS ending months of speculation about the operation of the National Disability Insurance Scheme in the West. Alison Blake, Tuesday, 31st October 2017 - The recent Productivity Commission Report on NDIS Costs brings into question whether government policy and its culture around information sharing needs an overhaul, writes Alison Blake, a business consultant in the disability sector. Alison Blake, Wednesday, 8th March 2017 - Regardless of the outcome of Saturday’s state election in Western Australia, there will be continuing close scrutiny of the roll out of the National Disability Insurance Scheme in that state. Alison Blake, Friday, 17th February 2017 - The Western Australian government says its hands are tied on the release of a report comparing the two NDIS models trialled in Western Australia over the last three years as debate over the roll out of the WA scheme heats up in the election campaign. Alison Blake, Thursday, 12th January 2017 - As the West Australian and Commonwealth governments finalise negotiations on the agreement for the roll out of the National Disability Insurance Scheme in WA, people with disability are hungry for the detail, writes Alison Blake, director of Strategic Support.